By planning out your marketing goals for 2019 using the SMART method, you’re already ahead of the game. Having SMART goals – goals that are specific, measurable, attainable, relevant, and time-bound – in place for your 2019 strategy can ensure that your business is on the up-and-up to reaching its long-term initiatives. But, a year is a long time; imagine trying to keep track of a goal for 365 days. A lot can happen that can easily skew the monitoring, or even results, of your goals. To simplify things, here at Bluleadz, we use quarterly goals. This way, we are able to keep up with the fast-paced changes and challenges that constantly appear. This SMART goal method has helped businesses all over the globe better achieve their goals and experience growth. 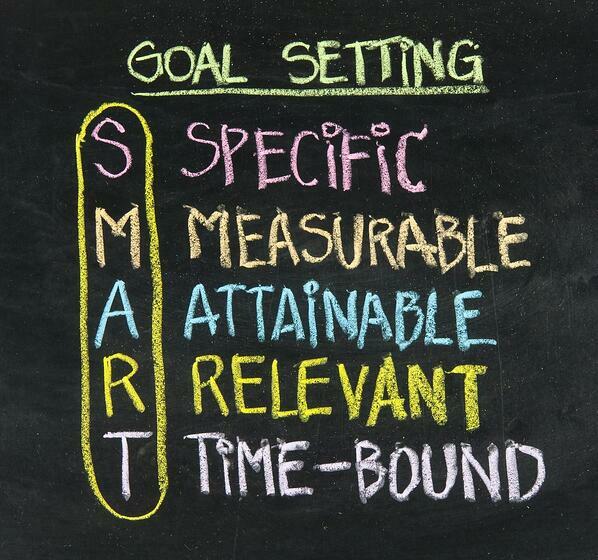 Here’s what you should consider for your 2019 SMART goals. In order to grow your business in 2019, your goals should reflect exactly what you intend to do. The more specific your goals, the better. A simple way to make these specific goals is to keep in mind the 5 W’s and H: who, what, when, where, why, and how? Who is going to be involved in making these goals happen? Who will be affected by the outcome? What are your goals trying to accomplish? What barriers are in place from reaching these goals? When is the deadline for your goals to be completed? Where are these goals going to take place? Why are these goals important to your company? If you're looking to grow your business, your goals may include improving lead generation or bringing in more customers or clients. If your business is relatively new, or isn’t getting as much traffic as you would like, set goals specific to driving more visits and getting your content seen! Your business might receive satisfying traffic but not quite convert as many leads into customers as you would like, so establish your goals around the conversion process. A well-defined goal has a much better chance of being successful. A marketing goal needs solid numbers in order to help your team stay on track and meet deadlines. This is where the “how” comes in. How much do you want to increase your number of leads? How many new visitors do you want? How will you know when you’ve reached your goal? To develop measurable goals, take a look at the data from previous years. What percent increase did you have from Q3 to Q4 in 2018? By comparing previous numbers, you’ll be better prepared to come up with values that aren’t too ambitious but don’t short-sell your business’s initiatives. This is where the next characteristic of a SMART goals comes into play. Consider goals that are challenging yet realistic to attain. Your goals should be challenging enough to require strategizing, execution, and careful monitoring... yet not be absolutely impossible to reach. To give you an analogy, reach for the stars, but don’t reach for Pluto. Pluto is 4.67 billion miles away. Remember, you must have the capability to attain your goals within your company, both financially and technologically. Attainable goals will motivate your employees to achieve them! Even if your goal sounds perfect to your own team, it may not be relevant to core company objectives, your industry, or the market at the time. Relevancy is based on the business world outside of you – things you don’t have much control over but can still impact your business goals and growth, such as an approaching recession. The goal should also be relevant to the responsibility of your company, including your overall mission and key components. Develop a roadmap for your SMART goals accompanied with a final date of completion. A timeframe is necessary in giving a sense of urgency and importance to a goal. Tying deadlines to your milestones will also help reach your goal in a timely manner. Without specific dates assigned, tasks are often forgotten or pushed to the side resulting in continuous unmet goals. Whether your marketing goal is to increase leads by 30 percent or obtain four new customers within the next month or three months, SMART goals should be used to consistently achieve them. And, to better set your business up for success, break down your SMART goals into quarterly goals that will help your business steadily grow into the lead gen and revenue machine you’ve always wanted.